New Year’s Eve is always a time to get together with friends and family and ring in the new year! Traditionally, New Year’s Eve gatherings include some sort of alcoholic cocktail and of course champagne. 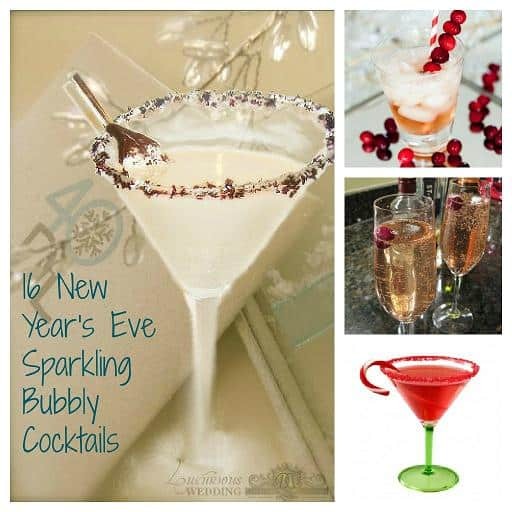 I perused the web and found my favorite 16 New Year’s Eve cocktails. To be honest, not all of these New Year’s Eve cocktails are sparkling or bubbly, but you can add the bubbly to each of these drinks easily, except for probably the Eggnog Martini and the Winter Wonderland Martini. 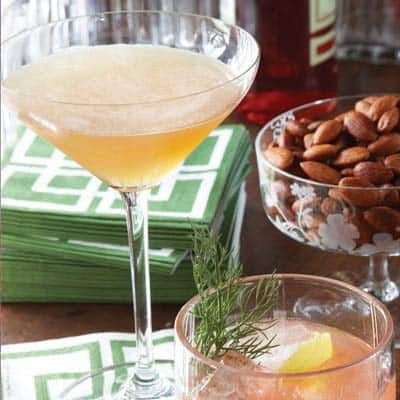 Nevertheless, these are all great New Year’s Eve cocktails to add a little fun to your celebration. The above cocktail is called Pomegranate Margaritas brought to us by a site called Delish. 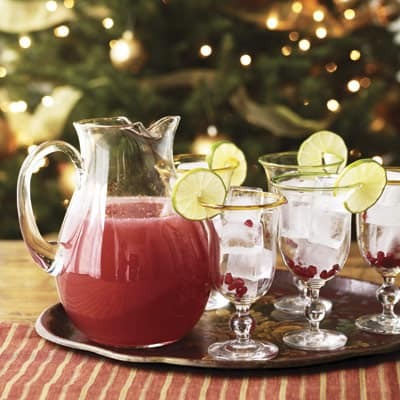 This recipe calls for frozen limeade, water, gold tequila, pomegranate juice, triple sec, limes, ice cubes, and fresh pomegranate seeds. 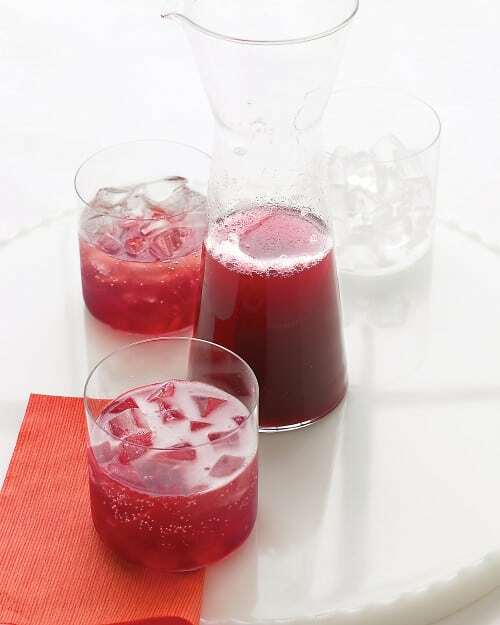 This next cocktail recipe comes from Martha Stewart herself. It is called Eggnog Martini. 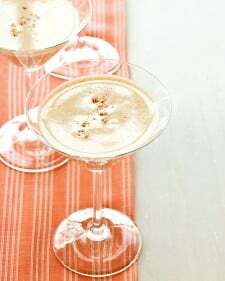 How can you resist an eggnog martini during the holidays? The recipe calls for sugar, cornstarch, nutmeg, pumpkin pie spice, whole milk, egg yolks, and brandy. The third drink looks very similar to my first recipe but it is different. It is called Pomegranate-Champagne Punch. This is another recipe from Martha Stewart. It calls for pomegranate juice, pear nectar, Grand Marnier, & champagne. This next one reminds me of Terri. This used to be her favorite go-to drink back in the day! It’s a Sloe Gin Fizz brought to you by Jenna Sais Quois. Love that name! 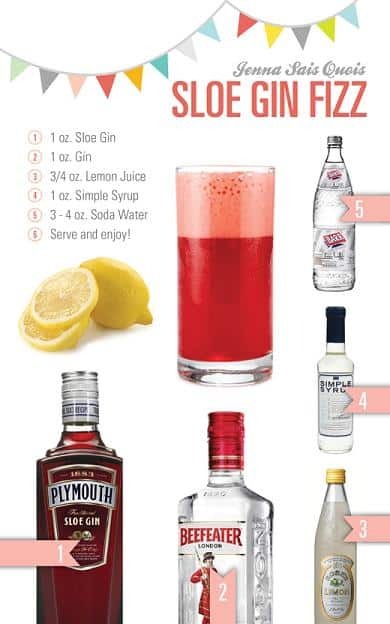 This drink calls for sloe gin, gin, lemon juice, simple syrup, and soda water. As you can see from the above picture, the sparkly bubbly ingredient in this one is beer! I had to include this one for my husband. It’s called Raspberry Beer Cocktail and is from a website called The Lush Chef. 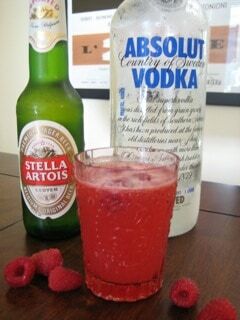 It contains raspberries, lemon juice, vodka, and any light colored beer, such as Stella Artois. Mmmm! I’ve got to try this one. 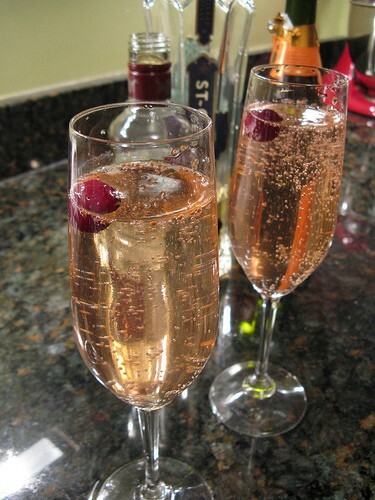 The above New Year’s Eve sparkling bubbly cocktail is called Strawberry Granita with Champagne and Frangelico. Frangelico is an almond flavored liqueur. 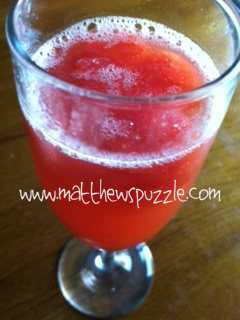 This recipe comes from a site called Matthews Puzzle and calls for strawberries, champagne, Frangelico, simple syrup, andlemon juice. Next up is a nice New Year’s Eve sparkling bubbly cocktail called French 75. This is another one from Delish. 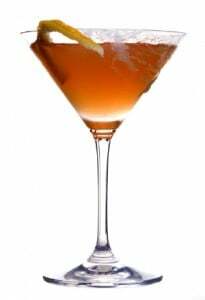 This one calls for ice, VSOP cognac, simple syrup, lemon juice, and sparkling wine. Number 8 comes from Just Putzing Around the Kitchen, another adorable blog name! This drink is called Blackberry Champagne Margarita. Looks so refreshing!! 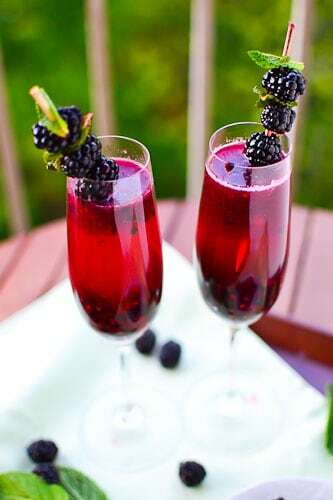 This recipe calls for blackberries, simple syrup, lemon, champagne, and tequila. 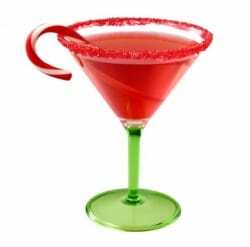 Number 9 comes from Squidoo and is called the Candy Cane Champagne Cosmo. It calls for either Cointreau Liqueur or Grand Marnier, cranberry juice cocktail, lime juice, sugar, and champagne or sparkling wine. Oh, and you can add a candy cane garnish like the picture above. My tenth New Year’s Eve sparkling bubbly cocktail comes from Cosmopolitan and is called Frozen Bellini. 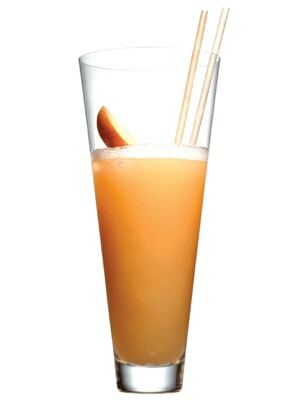 It calls for sparkling wine, triple sec, peach puree, simple syrup, lemon, and a peach wedge. Lucky # 11 is called a Bourbon-Cherry Seltzer. Yum!! It comes from, yet again, Delish. Gotta love this website. 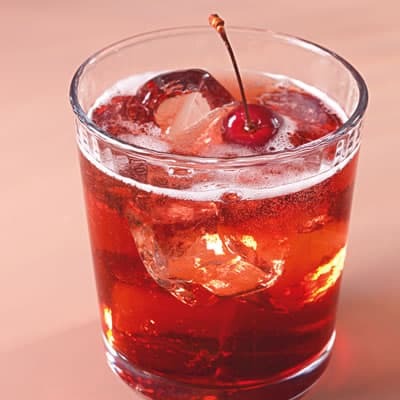 This drink calls for bourbon or dark rum, dark brown sugar, whole fresh cherries, and seltzer water. I had to include the above drink because it is one of my favorites during the cold winter months. It’s called a Boston Sidecar and comes from a site called Guest of a Guest. It calls for light rum, brandy, triple sec, and lemon or lime juice. I drank one of these at a restaurant called Clydes in Georgetown. It was called a Honey Sidecar. I happened to be sick at the time and it was so soothing on my throat. It also had sugar around the rim. This next cocktail comes from a site that you are now familiar with. Wait for it……Delish. I gotta bookmark this site! This drink is called Sparkling Pear and Cranberry Cocktail. 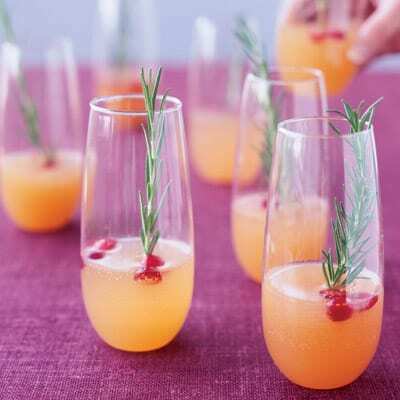 It contains cranberries, pear nectar, Moscato d’Asti wine, and sprigs of fresh rosemary. I love the name of this next New Year’s Eve sparkling bubbly cocktail! It is called the New Year’s Kiss Cocktail. How cute is that? It comes from a site called A Good Appetite. 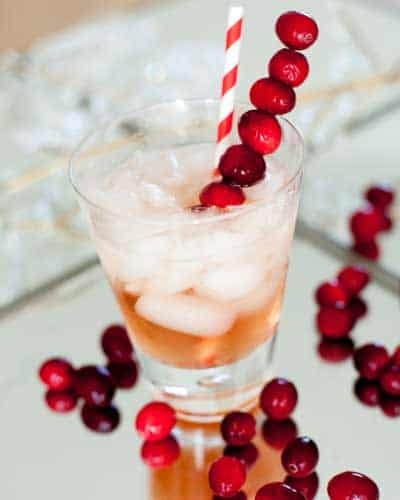 The ingredients are cranberries, cranberry vodka, elderflower liquor, and Prosecco. I had to include this next one based on the picture alone. So very festive! This drink is called Cranberry Bliss Champagne Cocktail. It is from a site called Celebrations. And a celebration this is! This drink calls for vodka, champagne, cranberry juice, and crushed ice. 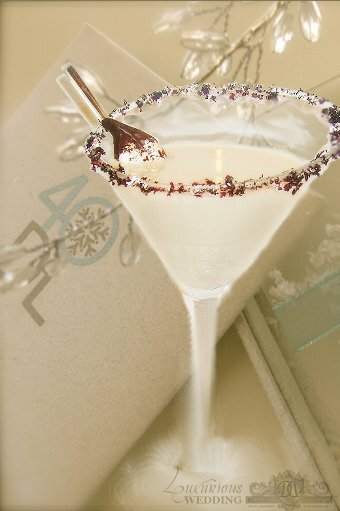 And the very last on my list of New Year’s Eve cocktails is the Winter Wonderland Martini from a site called Smitten in Cleveland. This drink calls for vanilla vodka, Godiva white chocolate liqueur, Frangelico, and cream. Oh my goodness!!! Yes, please! So there they are! My 16 Favorite New Year’s Eve Cocktails. I hope you try one or two of them at your New Year’s Eve gathering. And as always, be safe, drink responsibly and choose a designated driver. Here’s to a very happy new year! Hi Pam! Thanks so much for including my cocktail in your New Year’s Eve round-up. Let me know how it is! It’s one of my fave beer cocktails. No, thank you! I haven’t tried it yet, but it is on my list of go-to drink recipes. Love your blog!